Former Secretary of State Hillary Clinton had an Oprah moment last week when she recommended that we give money to millennial entrepreneurs to repay their loans while they start businesses. Now, she’s had another one. This time she wants to give students from upper middle class families a free ride to college. As part of her education initiative, Clinton just tacked on a big new taxpayer expenditure by offering families with incomes up to $125,000 free tuition at in-state public colleges and universities. 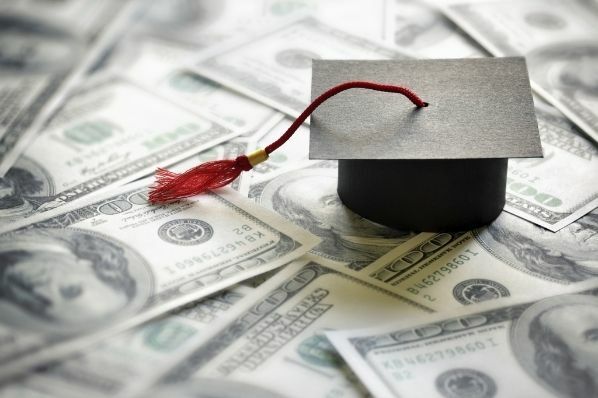 Her proposal would be phased in over five years, but immediately families earning $85,000 or less would be able to attend an in-state college or university without paying tuition. More than 80 percent of families apparently would be covered by this plan. Clinton plans to follow the lead of President Obama in using executive action as well. She would impose a three-month moratorium on federal student loan payments to allow borrowers to refinance their loans. “I want to take this opportunity to applaud Secretary Clinton for the very bold initiative she has just brought forth today for the financing of higher education. This proposal combines some of the strongest ideas she fought for during the campaign with some of the principles that I fought for. The final product is a result of the work of both campaigns," he said in a statement. Interestingly, Clinton’s earlier college debt proposal was more reserved and required families to contribute what they could afford to ensure that everyone had “skin in the game.” In that plan, Clinton proposed offering states new federal funding if they increased spending on higher education and state schools started to control costs with the aim of ensuring students who attend state schools don’t have to take out student loan money. However, in a bid to pick up support Clinton appears to be chucking even a modicum of personal responsibility. So just how much would Clinton’s revised debt-free college cost? That’s not clear. Her original plan was estimated to cost $350 billion over 10 years. The Sander’s free college plan would come in at an estimated $750 billion over 10 years, so perhaps Clinton’s rebooted compact would fall somewhere in between the two, or perhaps more. How would her new plan be paid for? No details on that either, but no doubt our taxpayer pockets. Both Clinton and Sanders are wrong on college affordability. We’ve maintained that free-tuition and free-college plans are costly and leave affluent families better off than it would middle-income and poor students. As we explored recently, tuition is not the only cost of attending college. There are out of pocket costs for things like room and board, books, and living expenses that are harder for low-income and working families to come up with. Raising the threshold of who should not pay for college to upper middle class families, which outside of metropolitan areas probably enjoy very comfy lifestyles, doesn't make sense. Furthermore, what’s driving the escalating cost of college is guaranteed federal aid. Colleges and universities have no reason to control costs and compete on value if they know Washington will cut a check for whatever they demand. Additionally, federal refinancing plans save borrowers a meaningless $7-8 a month over the life of a loan when you run the numbers, but comes at a cost to taxpayers. These are just the same-old stale ideas of more money with even less accountability of colleges and universities and no reform of our outdated higher education model.